Each writing session begins with an important lesson. 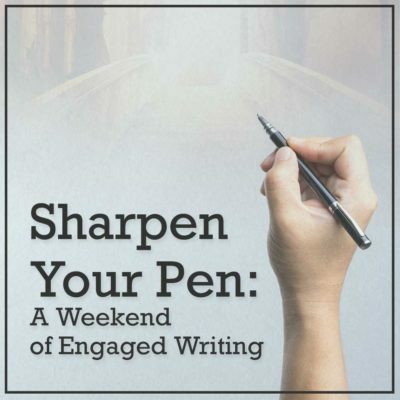 You explore the unique challenges that writers face and have the opportunity to resolve longstanding issues around committing, planning and doing, generating mental energy, achieving a centered presence, mastering anxiety, and maintaining a writing life. 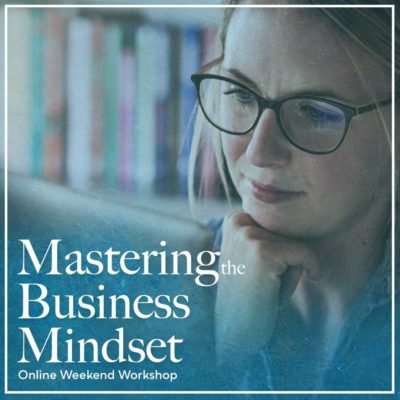 This workshop will fill up, so get your payment in! See you in Dublin. 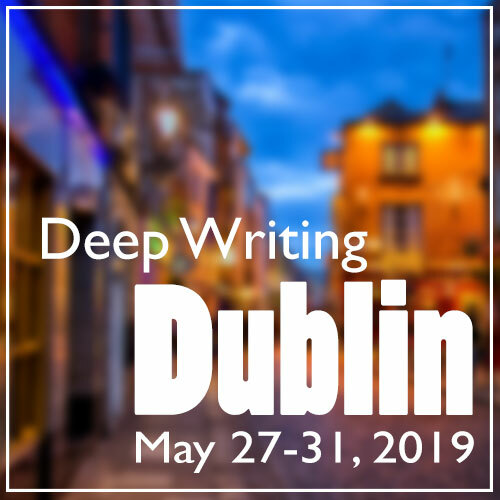 May 2019’s European Deep Writing workshop will take place in … Dublin! This is the first time that Deep Writing has come to Dublin. And it’s about time! There are stops on the international bohemian highway that spark the imagination, warm the heart, and call out to writers. Dublin is one of them. If you are a writer and haven’t been to Dublin, you owe yourself this excursion. If you’re a writer and have been to Dublin, you know that you’ve intended to come back. This is your chance to visit or return to one of the world’s great literary capitals and top destinations. The description of the workshop is below, as are endorsements from Deep Writing Paris 2018 and from other Deep Writing workshops. The virtues of the workshop are many: the lessons I provide are truly important and will help you maintain your writing life when you return home; there is no reading or critiquing of what you’re writing, making for a wonderfully safe environment; you’ll get to enjoy the company of like-minded writers; and you’ll spend a week in Dublin with enough time to explore and enjoy. Be as budget or as luxe as you like. Flights, lodging and meal expenses are on your own. Characteristically we have one (always wonderfully memorable) group dinner and many mini-group gatherings as participants get to know one another, eat and drink together, visit sights together, and make friendships that last a lifetime. There is much more to a European Deep Writing workshop than just the workshop hours. Come experience it for yourself … and if you’ve participated before, come experience it again! Please get your deposit in, as this workshop fills up. My deep writing workshops are simple in structure and powerful in effect. During the workshop, you relearn how much writing means to you and you make real progress on your chosen project. A genuinely safe environment is created because participants’ writing is neither shared nor critiqued. Rather, the group receives permission to spend time connecting with and falling back in love with their own writing. 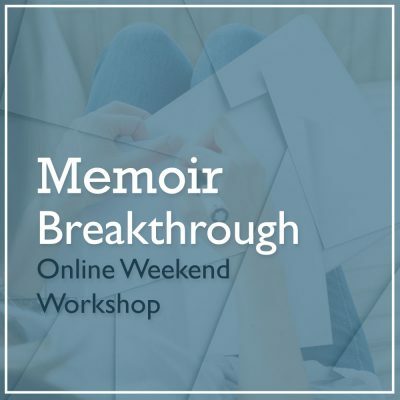 This workshop is ideal for writers of every level of experience, from published authors to writers who have yet to begin writing. It is likewise ideal for writers who want to discover what they want to write, who are hoping to get back to a beloved project, or who are immersed in a current project. Give yourself the gift of a week in the embrace of your own writing! “This was a wonderful week of encouragement and guidance from Eric that helped me get honest about and confront my anxiety about my writing. I am grateful for the opportunity to spend so much time and energy on my writing this week. Not only did this workshop help me develop confidence in my own writing but it opened my eyes to the larger possibilities and whetted my writing appetite.” – Sara L.
“Eric provided a safe forum for writers to really find their tribe. He encouraged us, validated us, and inspired us. His advice was instantly credible and powerfully pragmatic. But more importantly, he gave us time to devote to our work. It would be nearly impossible to walk away from this workshop and not feel inspired and incredibly productive. To all working and aspiring writers, this is a must-attend retreat.” – Bertina N.
Payment in full is due by March 1, 2019. Until March 1, 2019, a deposit will secure you a place. After March 1, 2019, payment in full is required and it is nonrefundable. This workshop will fill up. See you in Dublin!